Since its foundation, the Centre had set to publish the results of its activities, issuing over 100 publications. Up to 1997 most part of the volumes had been published by PACT Belgium (Louvain-la-Neuve), thanks to Prof. Tony Hackens' rentless action. 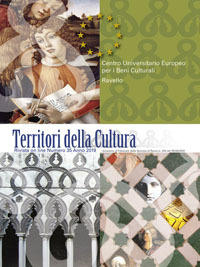 In 1998, after an agreement with the Publishing House Edipuglia (Bari), the Centre created its own series, divided in several sectors, like those of its activities. In the last years other other publishers are involved, including the Centre itself.